“One-size-fits-all” is great for oversized t-shirts and socks, but for hair? Not so much. That’s why we’re head-over-heels obsessed with Oribe’s treatment-oriented approach to haircare. Designed by seasoned salon professionals while pushing the boundaries of innovation, they leverage skincare technology and natural actives to meet the needs of every unique hair type. So whether your locks are curly, color-treated, flat or fine, Oribe has you covered. Ready to find the right Oribe products for your hair type? Color-treated tresses need special attention. Oribe gets that, which is why they created Beautiful Color—a line that keeps color looking fresher, longer. And since dying results in all kinds of damage (frizz, fading, dryness, and dulling, for starters), these ultra-nourishing formulas help locks stay in tip-top shape, too. When it comes to hair, we curly girls have a lot of struggles—frizz, deflated curls and dryness, to name a few. 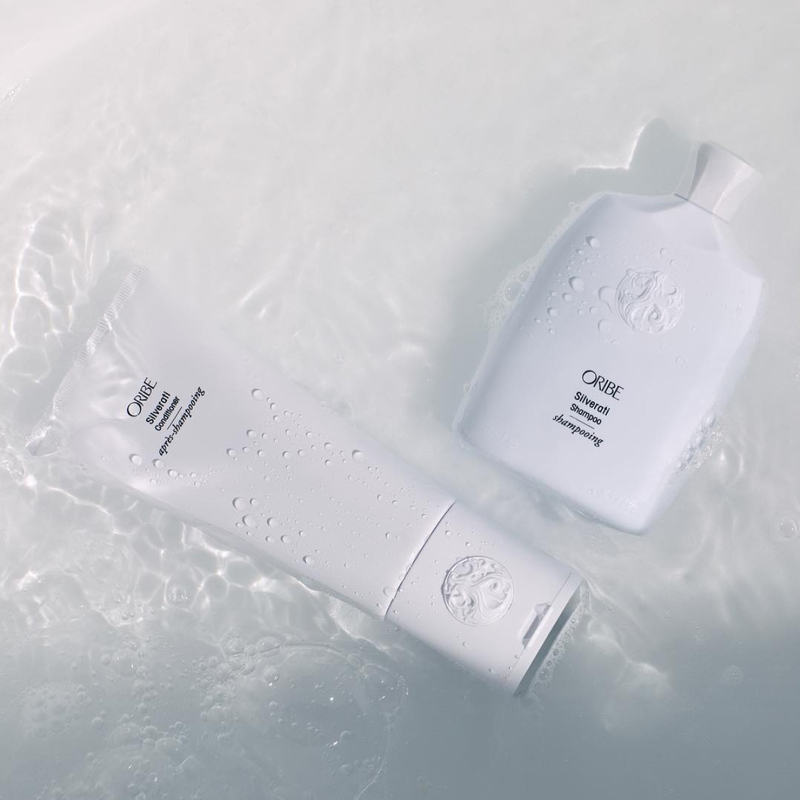 Thankfully, Oribe is here to help with products that prep, cleanse, style, and smooth curly hair. Whether you have loose waves or tight ringlets, you can kiss those #curlygirlproblems goodbye! Sadly, life is not a shampoo commercial, and some of us weren’t born with a naturally thick, bouncy mane. Luckily, we limp-locked ladies can fake it with a little help from Oribe. Like a personal trainer for your hair, their volumizing line can give even the flattest, finest strands a serious boost. Embrace your hair at any age. This collection is specially formulated for grey and white strands to undo dullness and yellow tones. It also protect against environmental stress factors and keeps mature hair moisturized and strong. Great style doesn't discriminate. Suitable for all hair types and textures, these ultra-luxe bestsellers make for simply gorgeous hair. Nobody likes a flake—especially the kind that hangs out in your hair. Specially designed to balance, soothe the scalp, and prevent irritation, The Serene Scalp collection leaves your strands shiny, soft, and 100% flake-free. What’s more, the amazingly scented formulas and luxe textures make addressing scalp health feel luxurious. Oh, can we talk about the packaging? Housed in chic pink bottles, this is one dandruff shampoo you’ll be proud to display in your shower.